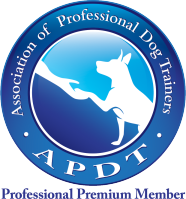 It is another way to build communication and trust with your petas well as to enhance his confidence. 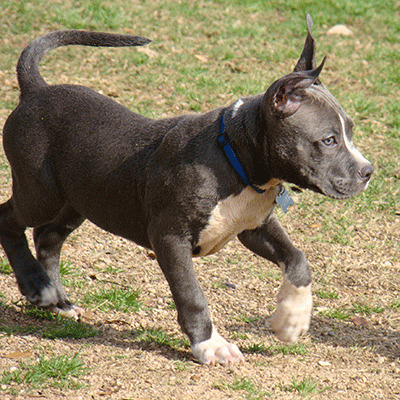 When a dog understands what he is being asked to do, he feels safer, because he knows what to do. 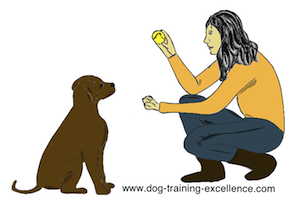 Down: you lure your pet by moving the treat from his nose down to the floor. This movement becomes a full motion with your palm facing out starting at your shoulder level (the last motion of the sit position) and going down to your leg palm-down. 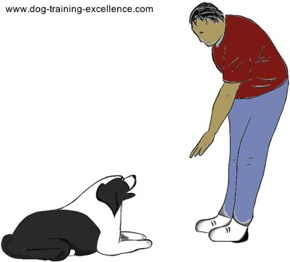 Stand: Starting from a sit or down position, you lure your hound by moving the treat from his nose up and forward. 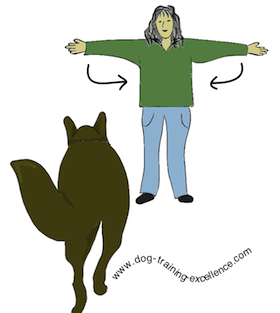 This becomes a full motion with your palm starting relaxed at your hip, then move your arm backwards. 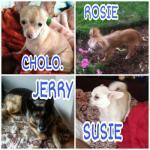 Go to your crate: You will use the target to move your pet into the crate. Then point with the target. The pointing motion will become the visual signal for "go to..."
Free: both hands up at shoulder level, palms-out (as in "all done"). 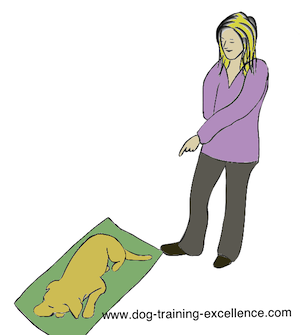 This signal lets your pet know he is done and can relax or do something else. First do the hand signal. 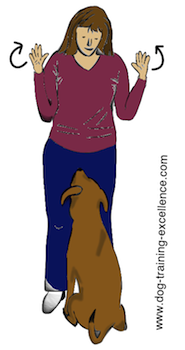 Immediately after say the verbal command (that your pooch already knows). 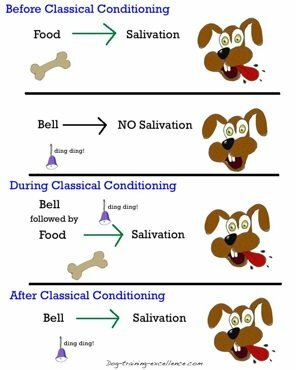 Mark and reward your dog's response. 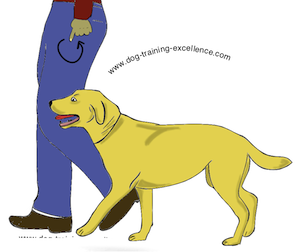 Now try the dog hand signal but don't say the verbal cue. If he doesn't respond to your hand signal be patient and repeat steps 1-4 again until successful. 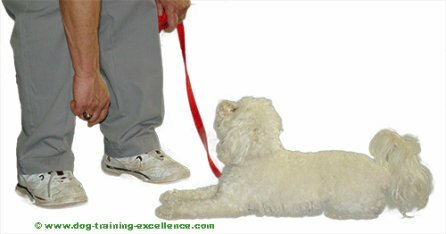 Mark and reward your pet's next response. 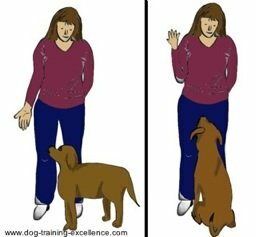 If your dog does the behavior without you doing the hand command first- Ignore it! 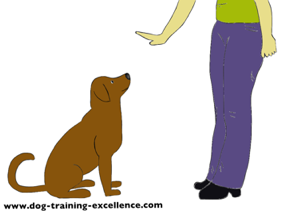 Your puppy must be doing the behavior for you often during a training session (this will happen if you reinforce the behavior a lot! 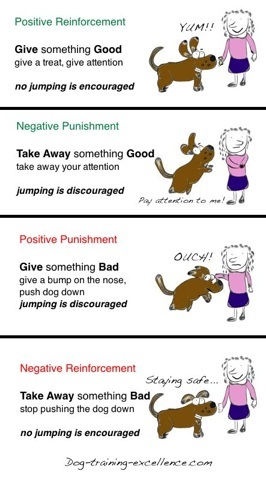 - it's basic positive reinforcement). 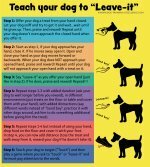 You can make your own unique visual signal and teach it to your dog as explained above! Share your hand signals with us on the box below!